One effective way to generate interest in the online presence of your business is by keeping a blog and updating it with fresh content. Unfortunately, many small business owners struggle to find the time to take care of all their other responsibilities pressing in on them. They see regular blog contributions as one more task to add to an already busy schedule. Besides, many feel that contributing regularly to a blog will provide minimal, if any, positive contributions to the bottom line. A thoughtful blog with useful, timely content will drive traffic to your site or other social media outlets. This increase in traffic equates to an increase in your lead generation efforts which, if played right, will ultimately lead to more sales. 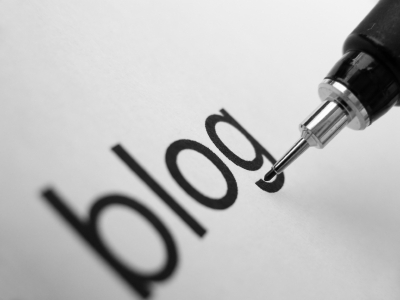 For the professional, a blog is a surefire way to show their expertise in their field. Blogs have been around for a decade now, and many businesses are using them to generate leads and attract loyal customers to their businesses. In case you don’t have a blog yet, you can sign up with hostgator, which offer a one click install of wordpress and other blogging platforms. Therefore, before one of your competitors draws potential customers away from your business, consider how to keep a blog full of fresh content without spending all your time doing it. Regular blog contributions don’t have to be a time consuming endeavor. Nor do you have to have an English degree or write long entries. The key is consistent and regular posts. Make it a goal to post one blog per week. People visit business blogs because they need solutions. Make it a point to help others with questions or problems they may have related to your product offering. Write your content to the level that your audience will understand. Once you have your blog up and running, make it a point to host an occasional guest blogger. Line up another expert in your field to cover for you when you are going on vacation or have other responsibilities to take care of. Spread the news of your latest blog entry across your other social media outlets. This will attract readers to your blog and also keep your other social media outlets updated. Your social contacts may then help you advertise your business by passing your content along to their contacts. The point of getting involved in social media is to engage your audience and develop relationships. Therefore if someone has put forth the effort to contact you make sure you take the time to respond. Not only will they appreciate it but your other readers will take note of it as well. Keep it interesting. If you don’t enjoy keeping a blog then you are not going to continue doing it for very long. A change of pace or format will keep it interesting for everyone. Post a “how-to video” from time to time or put your content in lists. Mark McCrell is an insurance industry expert and an auto afficionado. He combines his wealth of knowledge on the two fields when he blogs about auto insurance leads. When he's not finetuning his favorite cars, Mark can be found blogging for Underground Elephant.